Most parents have heard how important reading is for children. Because reading is my favorite activity, I REALLY wanted my children to love reading. I set out when my first was an infant to create an avid reader and would love to share some of the tricks I used. I believe children should always associate books with positive feelings, so I never wanted to say “no” about any books. When I introduced books to my infants we only used board books so they could happily chew them without worry about damage. I only added books with paper pages when they were old enough to not be interested in chewing and tearing pages. -Carry books everywhere you go-a small box or bag of books in the car, books in the stroller basket, books in the diaper bag–anytime your baby or toddler is bored, they can be handed a book to look at. -Keep stacks or bins of books with your child’s toy area and they can be pulled out wherever your child plays. -When reading with really young children, don’t try to force them to sit still. If you pull your toddler into your lap to read and he wants to slide down and walk around holding the book, have another book handy and keep reading or pointing to pictures while he holds his own book. -Don’t feel obligated to “read” every book as it is written. Your child may enjoy you just pointing to one object on each page. Many children love to hear quick, rhyming phrases and these can allow you to turn pages quickly. -Visit your julietta in canada local library for story time or to check out great books. -Books can be expensive, so ask for help creating a collection for your child. Books make great shower gifts for babies and wonderful birthday gifts for young children. To keep your children reading as they get older, be sure to set aside time daily. School age children can read 20-30 minutes each evening as a way to wind down at the end of the day. Look for topics your child is interested in-books about sports or their favorite activities can get them more excited about reading. Little Shop of Stories is a wonderful local bookstore that can help your child find books they love to read. Continue to read aloud to your older children, they enjoy this much longer than you might expect. For very reluctant readers, consider books on CD. There are many to choose from at your local library. 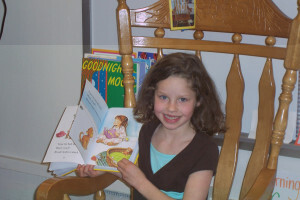 To ensure your children keep reading all summer, check out the DeKalb County Public Library website and see what activities are planned for summer reading and see the Little Shop of Stories website for their schedule of summer events. 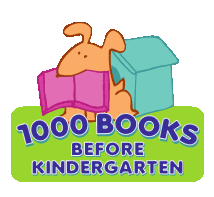 Finally, if you haven’t heard yet about the 1000 Books Before Kindergarten program that the Dekalb County Public Library just launched, stop by your local library and ask. It’s an amazing program with free kits for children, an app to track reading and rewards for reaching reading goals. Detailed information can be found on our Ready, Set, Read page.